officiantoncall – Marriages are what "We Do!" I am an ordained non-denominational wedding officiant and I enjoy what I do. I have a Masters in Industrial Organizational Psychology, and I was called to the wedding ministry on February 2014, and I have been in heaven ever since. Bringing people together is the most rewarding experience that I could ever have. It’s being a part of one of the greatest, most happiest events in a couples life! I enjoy organizing event s that will bring people together for such a happy occasion. Intimate ceremonies allow the couple and their family and guests feel more aligned with the occasion. My work has its own uniqueness because of how I view the wedding experience. I am spiritual but not religious. I believe we all have the ability to create and manage our paths using our own personal belief systems as our guide. I have married couples from all over the globe, and from many different spiritual paths. I have joined together couples who have come from different faiths and of different ages. Love has no color, spiritual, or physical boundaries. The universe embraces us all, and so does the spirit that dwells within us. 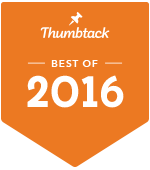 Officiant On Call received the Thumbtack Best of 2016 Award! Congratulations to Officiant On Call for the Thumbtack Best of 2015 Award! Let’s teach our girls the importance of having high self esteem, by loving themselves first enough, they will feel that their hearts aren’t half empty but overflowing. This way they aren’t starving for love, and they can choose a mate wisely. It’s the same concept of not going shopping hungry, because then you will pick everything and anything off the shelf that’s not healthy for you.